As Kate Winslet and Leo can attest, piloting ships in icy waters can be hazardous. If you're on an Antarctic naval patrol vessel, it makes sense to get some extra help. For HMS Protector, that help comes in the form of a SULSA UAV, a tiny, lightweight UAV that can be launched from a deck and cruise at 97km/h. It feeds back imagery from an onboard camerea, and then lands in the water, where it can be fished out by hand. The real-time aerial imagery is incredibly useful for Protector, as it tries to navigate Antarctic ice. The entire thing is 3-D printed from a few components, and easily snapped together by hand. Although 3-D printing isn't going to kill conventional manufacturing any time soon, applications like this demonstrate its versatility — not every ship wants to carry a stock of drones, but having a 3-D printer and a supply of nylon is much easier and more versatile. 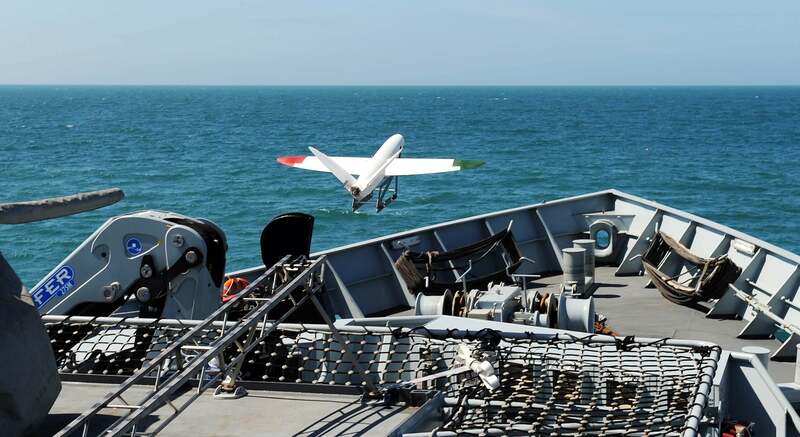 Tiny ship-launched drones are also a useful tool for navies worldwide. Ships combating piracy are already using them extensively, as it's a much cheaper way of checking out distant ships than spooling up a helicopter.